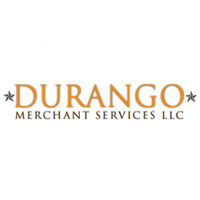 Durango Merchant Services is a high-risk merchant account service provider that enables users to process payments. Its features include international and multi-currency merchant accounts, fraud protection, ACH check processing, and more. In this article, we cover user reviews. Ready to get started with Durango Merchant Services? Visit their website. Users who gave Durango Merchant Services a positive review said that the accounts are easy to set up and the transactions are time-efficient. Excellent customer support was also cited. A user who left a positive review of Durango Merchant Services on Best Company commended the sales representative’s transparency as he explained product information thoroughly. He added that he was able to start processing payments within a couple of days and have not encountered any hidden fees. As of the date this article was written (12/03/18), there are no negative user reviews of Durango Merchant Services online. If you are a past or current Durango Merchant Services customer, leave a review to help other business owners who are deciding whether or not to use the company. Durango Merchant Services doesn’t publish their pricing plans online. Rates for similar service providers range from $0.10 to $0.45 per transaction, $9 to $30 for monthly subscription fees, and 1% to 2.5% for processing fees. Ready to get started with Durango Merchant Services? Visit their website. What are high-risk merchant accounts? High-risk account holders could either bear a fraud-related history, chargebacks, reputational risks, or bad personal credit and company financials. Can low-risk merchants use Durango Merchant Services? Yes. Durango Merchant Services accepts both high-risk and low-risk merchants. Interested users are encouraged to contact their support team to learn more about application requirements. Not sure if Durango Merchant Services is the right fit for you? Read our reviews of top merchant services providers or check out one of these three Durango Merchant Services alternatives.